The science of manufacturing Flavay® is very complex. Most so-called proanthocyanidins contain nothing more than grape seeds or other plant parts which have been pulverized in a food processor. Consumers need to know that the marketplace is full of imitations, offshoots and derivatives of scientifically-proven natural products. This is especially important in the "grape seed extract" and "pine bark extract" category. 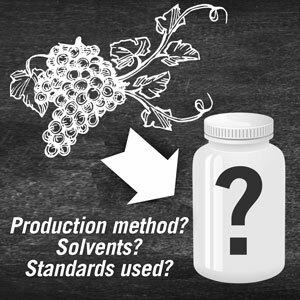 Most so-called oligomeric proanthocyanidins (OPCs) products contain nothing more than grape seeds or other plant parts which have been pulverized in a food processor—because producing "extracts" is inexpensive and requires no specialized equipment or knowledge. Manufacturers use various chemical solvents which are quite different from water and food-grade alcohol. Where manufacturers actually isolate proanthocyanidins from their extracts, they fail to remove the many large clusters from among the small "oligomeric" clusters of proanthocyanidins. (Large clusters of proanthocyanidins are in ineffective, unsafe and anti-nutritive.) There is also wide variation between grape seeds used as well as seed separation, drying and storage. All these differences have a significant impact on the final composition and why most are anti-nutritive and may be dangerous in large doses. 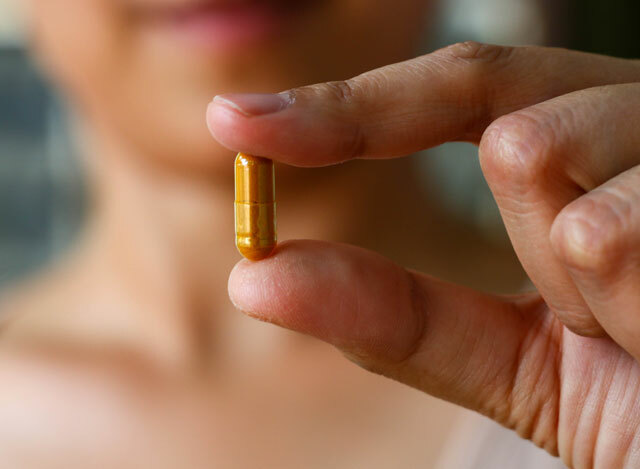 Unfortunately, there is no American industry standard for accurately identifying and quantifying dietary supplements sold as proanthocyanidins. The result is that so-called proanthocyanidins products contain unidentified and untraceable extracts typically labeled vaguely as "grape seed extract" or "pine bark extract." Even a trained observer is left guessing about the origin of the ingredients, method of production, and in which country and according to what standards it was produced. There are widespread differences in so-called proanthocyanidins in the marketplace. Because suppliers of grape seed and pine bark extracts use various and unproven manufacturing processes, there are widespread differences in products labeled as "grape seed extract" or "pine bark extract" in the marketplace. Unfortunately, too, many companies have used the inventor's name, Dr. Jack Masquelier, and his research in unauthorized ways to promote illegitimate extracts. Together with widespread confusion and misunderstanding as to the differences between vague "extracts" and their active principles, it's practically impossible for retailers and consumers to distinguish inferior products from quality ones. 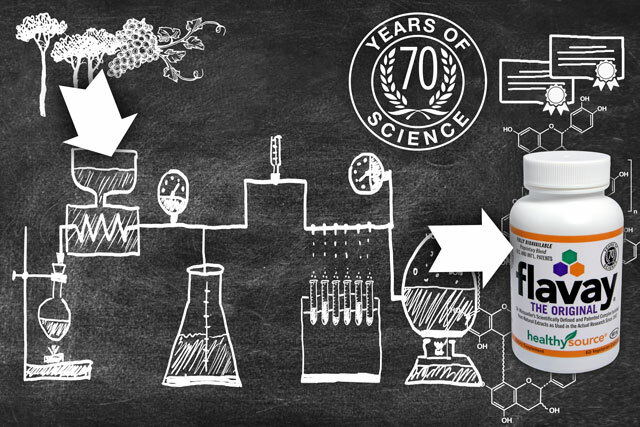 More than 70 years of solid scientific research, patents and clinical studies, rigorous manufacturing controls and comprehensive identity-testing safeguard quality and consistency of Flavay®. Flavay® is the name you can trust for the original, patented and perfected, pure and unadulterated, small-cluster oligomeric proanthocyanidins complex manufactured in France where it has been tested as a medicine for safety and validated by the French Ministry of Health and approved for over-the-counter use. 179. Seewald, E. The quantification of oligomeric proanthocyanidins in the inner and outer barks of selected b.c. conifers: a thesis submitted in partial fulfillment of the requirements for the degree of masters of science. Univ of British Columbia, 1998. 187. Cheda VS, et al. Antioxidant/prooxidant activity of a polyphenolic grape seed extract. Food Chem 2010;121(1):132-9.